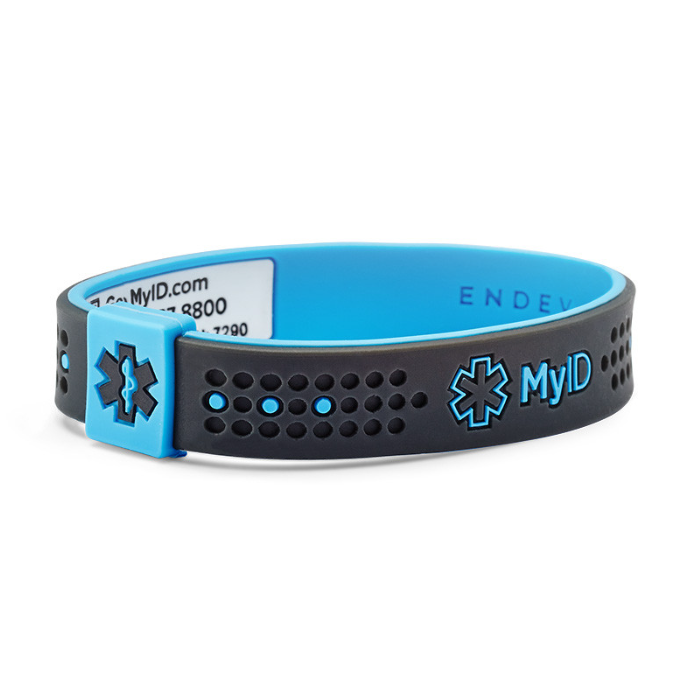 The Sport is our most comfortable and lightweight MyID yet. MyID Sport comes in several bold color combinations that are sure to garner attention. 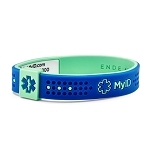 This aesthetically pleasing band maintains the integrity and quality we have come to expect of all our Medical Identification Bands. Select length from drop down menu above. I like the appearance of the bracelet and it is comfortable to wear. 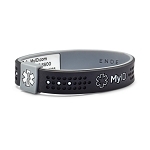 I had to go to the ER because I fell and hurt my back they had no idea what the bracelet was for and did not know how to use it. 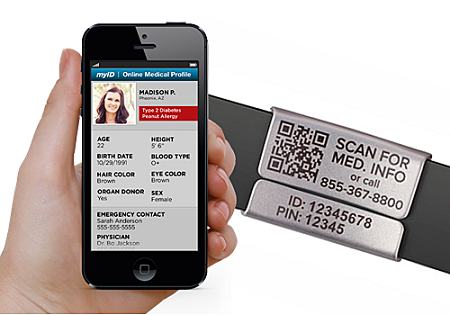 Hospitals and EMT's need to be educated about it. What if I had been unconcious.